Mark Stone, Santa Cruz Supervisor, has now been on the California Costal Commission for over two years and currently serves as Vice Chair. During his short term he has been a strong advocate for protection of coastal resources. Mark voted against the proposed massive Monterey Bay Shores "Eco-Resort" that would have marred sensitive dune habitat near Monterey and ensured that the Commission would not give its blessing to test slant wells independent of a more thorough review of the controversial desalination proposal in Monterey County. Mark's thoughtful, law- and science-based approach to land use decisions has made him a well-respected leader on the Commission. 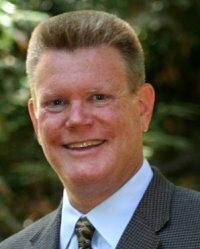 Since 2003 Mark Stone, endorsed by Sierra Club, has represented the San Lorenzo Valley, the City of Scotts Valley, and portions of the City of Santa Cruz on the Santa Cruz County Board of Supervisors. In his role as a Supervisor, Mark has fought for families and children and has been a strong voice for the environment. Santa Cruz County now has a Commission on the Environment, and has bans on pesticide spraying by the County, genetically modified crops, Styrofoam containers, and single-use plastic bags because of Mark's leadership. A committed public servant, Mark has announced he will run for the newly redistricted and anticipated open State Assembly seat in 2012. Mark is an avid open water swimmer, having conquered the English Channel in 2009. He lives in Scotts Valley with his wife, Kathy, and their two children.